Saturday, i'll be there for sure. Can't wait! That's great! If you can take photos that would be wonderful to see some candid shots of the couple. Hope you can meet them too. Keep us posted. The Queen gave Pr.Edward and the Countess Sophie some wonderful fun places to visit , wonderful weather. No journo from the UK went with them. It's kind of sad. Maybe that's a good thing, for Edward and Sophie, because the British Journalists never write anything nice about the couple. The AP will send stories and the Island papers will be much kinder to them. With two young children keeping them busy at home, it's not too often that Prince Edward and Sophie get the chance to step out in their finery for official events after dark. So the couple looked like they were clearly enjoying themselves in co-ordinated outfits as they stepped out in their evening wear for a state dinner in Barbados last night. Sophie, 47, looked particularly glamorous in a floor length glamorous gown with a black ribbon with rose detail and matching shrug. Lookin' normal and dedicated. No problemo.. I don't like that rose detail on the ribbon She looks very elegant and royal though. If it was Waity, she'd have platform heels and her hair flapping about ...being blonde and blue eyed, Sophie has more potential to ride on the tails of Diana's glamour but I think she has more class and restraint than to do that. 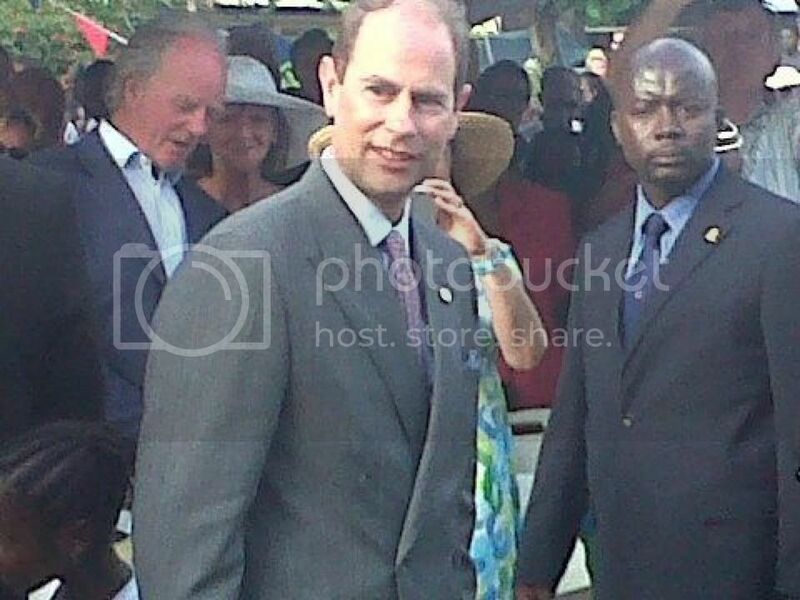 IMO Edward looks dapper! Sophie could have chosen a better dress, though. The gown itself is nice, but I don't like the ribbon and bolero. Sophie looks lovely. She always seems to be working for the Monarchy and not about the self-glory I see with the Berkshire-lass! I knew I had seen her dress before. 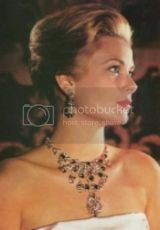 She wore it to the Coronation of HSH Pr.Albert of Monaco in 2005? cool I like the dress, it's not to frilly and the fact that she uses an old dress doesn't matter to me really. guys i didn't go, circumstances beyond my control but friends and relatives went so i'm waiting on pics, i'll put them up as soon as i get them. 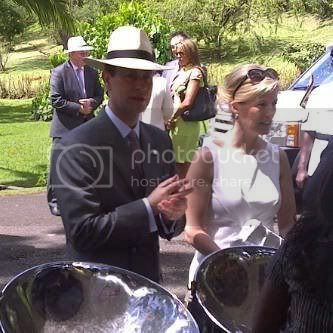 Barbados pics... http://www.newscom.com/nc/clearOpenSearch.action Type in Earl and Countess of Wessex. Thanks so much BC! For a non photoshopped photo she looks quite good, did they tell you if she was nice? Or something?